Digiperform > Blog > Business & Digital Marketing Tips > Why SMS Marketing Strategy is best for Small Business Brands? 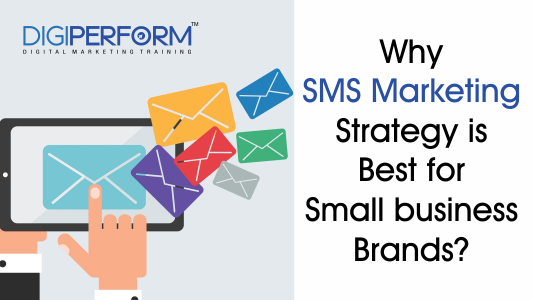 Why SMS Marketing Strategy is best for Small Business Brands? SMS marketing strategy is literally the best idea for business promotion ever, especially for the smaller business brands. You can reach out to millions of customers, targeted and beyond, in an instant knowing the fact that more than 90% of people use their smartphones to access the internet for the latest info and news. Texting is supposed to the quickest and cheapest way of digital marketing strategy as almost all texts are always read by almost everyone. It is for this reason that businesses cannot ignore SMS marketing. ‘Ding dong’ and they know some new text message is there and the possibility of text messages being read is nearly 100%. Thinking that it may be a message from the cute girlfriend of your or your boss congratulating you on your performance or maybe and just maybe, it is an irresistible offer made by your favorite retail chain. What the first thing anyone would do, just open it. You will personally not be able to remember the last time you did not open such a message on your phone and swiped left or deleted the message even before reading it. If you can remember then kudos to you and well, you can consider you to be a borderline extraterrestrial! There is no denial of the fact that sending bulk messages is the best way to reach out to more and more customers and here are a few good reasons that will substantially back up such a bold claim. SMS marketing is not considered as spam because there are some specific rules of permission-based marketing that SMS messaging has to follow. It is 100% opt-in based. This when simply put means the customers must give their communicated consent before they receive SMS messages over their phones. Out of these there options, the last one seems to be the most commonly followed practice. When a new subscriber opts in, he or she will get an auto-reply which will confirm their acceptance and subscription. However, in case the opt-in is accidental, the subscriber can simply reply STOP and that will cease all messaging. There is no doubt or denial to that fact that everyone reads texts, well saying almost everyone would be better to avoid any controversy. It is found through different studies that more than 90% of all text messages sent and received are read within the first three minutes of receiving them and this is not a fluffy statistical figure. It also suggests that almost half of this fraction goes on to make a purchase. This research result inspires the small business owners and marketers to take on SMS marketing as their business marketing strategy. The research results speak for the success of such campaigns for itself, given the fact that all citizens have the right to register themselves with the ‘do not call’ registry. It seems that this does not have anything to do with sending and receiving SMS. Second, the Do Not Call registry simply protects consumers from just unwanted calls and not messages. The Do Not Call registry is specifically designed to prevent the telemarketers from harassing any consumer over the phone for making a purchase. This simply has no relation or control on text messaging. A consumer who is annoyed to find that he or she is receiving unwanted text messages continually, the only way to deal with it or to stop it is by filing an official complaint against the sender. On the other hand, however, if you know and follow the rules and nature of the permission-based marketing method, you as a marketer do not have to worry about such issues and situations. This gives you an ample scope to reach out to more consumers and turn them to your subscribers and influence your business revenue in turn. The most important factor of SMS marketing is that you get to your point straightaway. This is due to the 160 character limitation factor of text messages that forces the marketers to be brief and to the point. That means you will simply have to focus on making the irresistible offer you think will drive sales through SMS marketing without droning on and on with a 300-word marketing message. On the other hand, it is also good for the perspective of the subscriber. They usually do not want to how you made your business or how your product is made. They are simply interested in either opt-in to receive your exclusive offer or opt out from it. 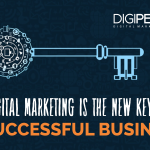 Considering the present digital age of business marketing, you must ensure that you stick on to simple marketing messages to get the desired results faster and better. Also, make sure that your messages are easy to understand and certainly have a strong and appealing Call To Action or CTA. It is good to keep you informed that SMS can sometimes come off as obnoxious but then it is the case with any other marketing method that you may implement for your business. It can be also the case with direct mail, Facebook, pay per click ads, or any other. The best thing to do is to take the help of professional services in this regard.